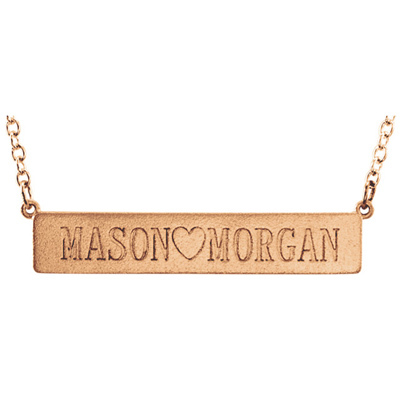 14K Rose Gold Custom "Love Plate" Necklace comes with your choice of engraving and special finishes. Also available in 14k white gold or yellow gold, shown below. Plate measures 1.31" (33.5mm) wide x 1/4" tall (6.4mm). Includes 16" matching cable chain. Choose from special finishes, including: bead blast, glass blast, hammered, ice, or stone. 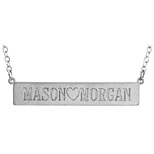 Engraving is optional, with up to 13 characters per side. Choose from: Bookman Old Style, Old English, Corinthia, Roman Monogram, Script MJ Bold, Typewriter, or Vine Monogram. If you would like a "HEART" symbol, simply enter "HEART" where you would like the heart symbol to appear. 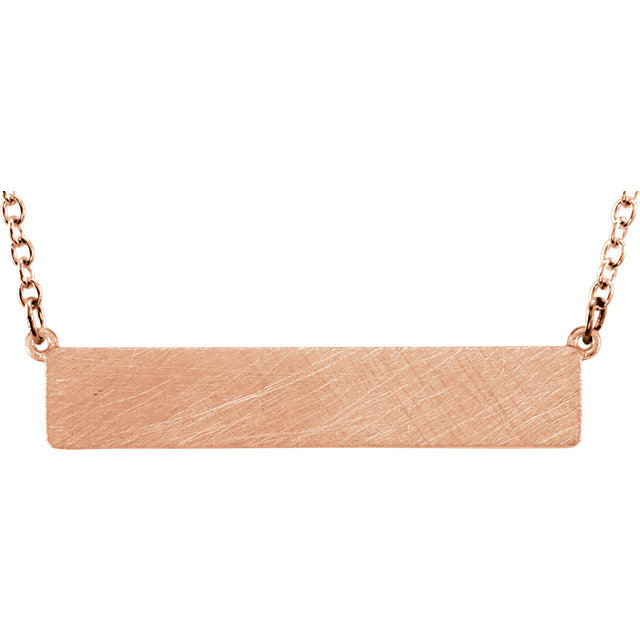 We guarantee our 14K Rose Gold Customized Love Plate Necklace to be high quality, authentic jewelry, as described above.